LONDON (Hypebot) – Last week, technology news site The Verge published a partial leaked copy of a 2011 contract between major label Sony and leading interactive streaming service Spotify. The contract has since been taken down at the request of the copyright owner, but the reporting, which includes details of the deal, remains. Assuming the contract’s authenticity, there’s not a lot in there that’s particularly revelatory for those of us who’ve been closely following the ongoing debates over on-demand streaming services. However, it does offer confirmation of certain controversial practices, and a snapshot of some of the dynamics associated with service design. 1. We know that full-catalog on-demand services are designed to fit the needs of the biggest aggregators. This contract simply gives us a (dated but potentially useful) look at the underlying mechanics. Often, this means perks on top of the direct compensation for usage of licensed catalog; compensation which isn’t always attributed to particular tracks and thus, isn’t always shared with artists. These include large advances (up to $42.5 million to Sony in the three year period covered by this contract), and most-favored-nation (MFN) clauses that result in growing advances if other labels are able to wrangle better deals. 2. This underscores much of what we’ve been saying about transparency. Music is at present often exploited under clouded terms in hidden deals, with complex formulae used to calculate royalty rates, and with little transparency regarding source values. Artists should have access to all relevant information concerning all exploitations of all rights; any contract where a label or publisher waives the artist’s right to receive such information should be considered void. We are not against commercially relevant Non-Disclosure Agreements (NDA’s). We (artists and their representatives) just want the basic information relating to usage (of the music and the artist’s name and likeness) to be shared with us by our commercial “partners”, the labels and publishers. The information relating to ad-revenue services, subscription services, equity stakes, technical payments, marketing payments etc, is as relevant to an artist and their representatives as the information artists expect to receive relating to vinyl records or CDs. Digital should bring transparency and granularity. 3. Remember that all labels are not the same. If competing on an emerging platform means accepting a system where you leverage aggregated catalog for advances, equity and other perks, it’s definitely a baseline best practice to share the spoils of these deals with artists. Sony now claims that, they too, are sharing advances with artists. But in the absence of expensive audits, it’s hard to be sure. Keep in mind that a system for sharing advances still does not address equity stakes. 4. To the extent that that free advertising is part of the compensation package for labels, the full roster of signed artists are unlikely to be included. 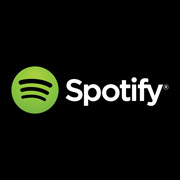 The Sony deal involved giving the label ad inventory on Spotify, which could be used by Sony to promote its releases or sold to third parties. When offered free/discounted advertising assets on a digital service, a label typically highlights its newest releases; back catalog doesn’t get the benefit of this additional exposure or ad-driven plays. But back catalog can be just as important to a service, even if there isn’t a way to make this benefit accrue equitably across a pool of artists. In fact, because of the pro-rata nature of Spotify payouts, increased ad-driven listens for other artists could mean a lower per-stream rate for you. Unfortunately, this is an area where labels’ interests and artists’ interests only align if you happen to be the artist receiving ad placement (this is also the case on the indie side). 5. This contract doesn’t let services off the hook. On one level, if you’re launching a music service with a model that depends on having full major label catalog, you may have few options but to tailor the payout structure in a way that works especially well for the biggest record labels and their current business model: the accumulation of vast amounts of catalog and the promotion of a smaller, mass-market roster. But that’s not a reason to allow other parties to evade responsibility, as some commenters seem eager to do. Cory Doctorow at BoingBoing, for example, writes, “If artists are getting shafted on payouts for streams of their music—and it’s clear that they are—it’s because the labels are screwing them, not because the streaming companies aren’t paying out.” But this radical oversimplification ignores the structural factors that are part of the service design, along with the role of speculative investment. It also ignores that many of the strongest criticisms of the current arrangement have come from artists who own their own masters, or who work with labels that pay at 50/50 splits (pre or post-recoupment). Similarly, when Spotify’s Daniel Ek blames “middlemen” for “gobbling cash” we should evaluate the extent to which this is true without allowing him to simply pass the buck. Artists need transparency and accountability from all parties: that means labels, publishers, managers, distributors, royalty societies, and the services themselves. How could digital music services avoid having to make big concessions to the major labels to bring their services to market? Some stakeholders have encouraged the adoption of a statutory license regime that would streamline the licensing process (similar to what currently exists for non-interactive services). This would mean that interactive services wouldn’t have to tailor their compensation structures to best suit the needs of the biggest labels and an end to the “digital breakage” phenomenon that necessitates big advances; instead they would pay a standard rate. But this could be less attractive for artists who want to be selective about what work they make available and where, or whose fundamental issue is with the pro-rata model itself and its impacts on niche acts. Perhaps such artists would be better served by some kind of enhanced collective licensing with an opt-out provision that could streamline licensing without mandating anyone’s catalog to be available on-demand. But for that to work, we need rock solid data and data management. Another solution is to encourage the further development and adoption of streaming or hybrid models that don’t attempt to offer full catalog, such as Bandcamp and Drip.fm. Because they don’t need to negotiate rights for “all the musics” to bring a service to the market, they’re not required to cozy up to the biggest aggregators or dole out huge advances. As a result, they’re able to tailor their offerings for artists and indie labels operating with different assumptions about scale. Such services may not be a good fit for every category of listener, but they certainly could end up being an important part of the ecosystem. Artists and labels have diverse views about how interactive streaming offerings should ultimately be calibrated. But it’s important that in the ongoing process of service design and development, services and labels alike prioritize better serving the performers and songwriters whose work is at the center of it all.